There is also a limited release of this on Kinetic that is signed by Sasha. A to E: 45 rpm. F: 33 rpm. An impressive artistic electronica album . Sasha with his magical touch will takes you to the beautiful electronic sound voyage from start to the end. an abundace of musical escapism . 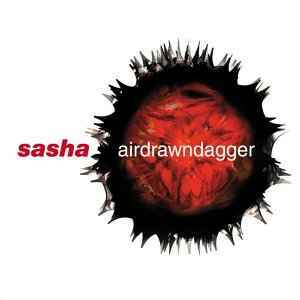 Airdrawndagger first got criticized by a big load of fans who probably didn't had enough patience to experience this new piece of electronic music by the hand of Sasha. And I must say that it is a big challenge to listen to the whole album. But isn't that a little bit what a new album should be about? Sasha took it into a very different direction here. Luckily a lot of people were impressed and especially those ambient heads. The heavenly Wavy Gravy is for sure on of the mans greatest productions. It's a great euphoric peacefull harmonic track with tight, simple and static drums. The whole album is kind of an futuristic ambient experience. Most of the tracks are based on light break beats that just serve as a small foundation. Melody and harmony that's what it is about. For sure the contribution of Junkie Xl's mixing capabilities had it's effect on the phatnes and warmth of the productions. We must conclude this is an (easy) listening album, there are no uptempo dancefloor intentions present. Some terms apposite tot the album are: fresh air, open atmosphere, peace, kindness and even love I think. Yes it is a beauty.